Wouldn’t it be great if you could get a cruise ship cabin upgrade without putting any effort in? Other than footing over the extra cash, there’s no guarantee that you’ll be able to spend your time on your cruise in a nicer, luxury cabin. However, there are a few tips and tricks that can get you closer to that upgrade. 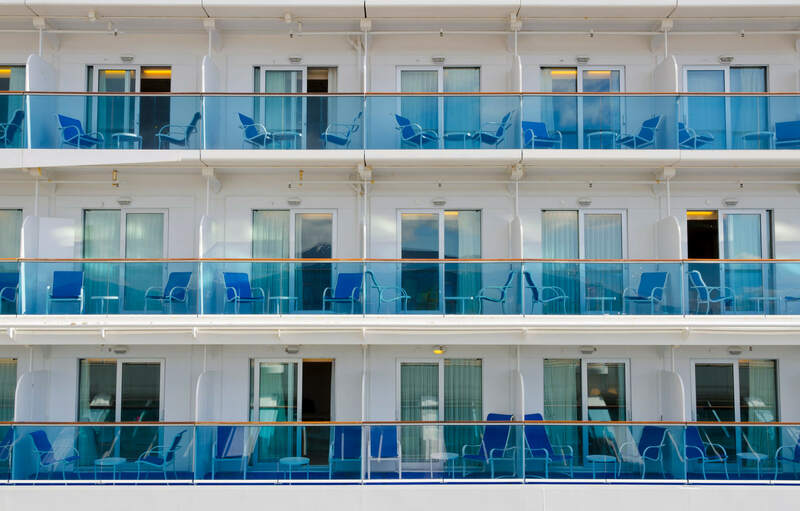 If you book your cruise during the off-season (or you’re okay with going to a not-so-popular destination), it’s possible you’ll get an upgrade because the rooms won’t all be full. Or, you may be able to get an excellent deal on an upgraded room because cruise lines want to book their more expensive rooms first, and offering them at a discount is better than having you book a cheaper room. Sometimes, simply booking early could end up getting you an unexpected upgrade. The most expensive cabins are usually the first to go, but the cheaper cabins are next. If you book a cheap cabin and then there ends up being a lot of demand for your category, you could get an upgrade if there’s a slot open for a nicer cabin. Explain that this is your first cruise. While repeat cruisers are often given upgrades, you may be able to score an upgrade if you explain to the cruise line that is your very first cruise ever. The cruise line wants to make a great impression on you and their goal is to give you such a good experience that you can’t wait until your next cruise. You can also explain that this is your first time cruising with their company and that you’re considering switching over from the cruise line you’ve sailed with a lot in the past. When booking, get a cabin guarantee. A guaranteed cabin means that you’ll definitely get a cabin in the category you asked for, instead of one in a category below it. This can be complex, because some ships have as many as 20 categories to sort through, spread out in different locations of the ship. You won’t be assigned a specific cabin until your departure date approaches (about one week before). If the category you book in happens to fill up, you could get an upgrade at no additional cost. If you have some flexibility about when you book your trip, wait until a cruise line is running a promotion. There are often promotions run on certain destinations, ships or itineraries, so if you have some wiggle room in where and when you travel, you could end up scoring a great deal on an upscale room. By giving yourself the freedom to book whenever the best opportunity presents itself, you’ll be investing with confidence. Work with a travel agent. If you call the cruise line yourself and ask for an upgraded cabin, there’s really no reason for them to give it to you – you’re just one passenger. However, if you work with a travel agent who already has an established relationship with the cruise line, you’re more likely to get a perk or two, like a nicer room. Book with the same cruise line a lot. If you love cruises and intend to go on one every year (or more often), always use the same cruise line. Airlines and hotels aren’t the only travel companies with loyalty programs! The more often you cruise with the same company, the more likely it is that you’ll start to get VIP perks, like free or discounted upgrades. Tell the cruise line about any problems. If you have an issue with your room, talk to the customer service agents on the ship immediately. If they’re not able to quickly remedy the situation, you may get an upgraded room. Cruise lines want you to have a good experience and it’s important to them that your trip starts off on the right foot. Sometimes, all it takes to get an upgrade is to ask for one. If nothing else has worked, simply talk to customer service to find out if getting an upgraded room is possible. Be extra polite and patient when asking, and be willing to work with the agent if they offer you an upgrade at a lower price. There’s no guarantee that you’ll get an upgraded cabin on your cruise, but it never hurts to ask or to apply these tips just in case. Ultimately, when you book a cruise, make sure you’ll be happy at the cabin you initially book. Otherwise, you could end up disappointment during your entire getaway.